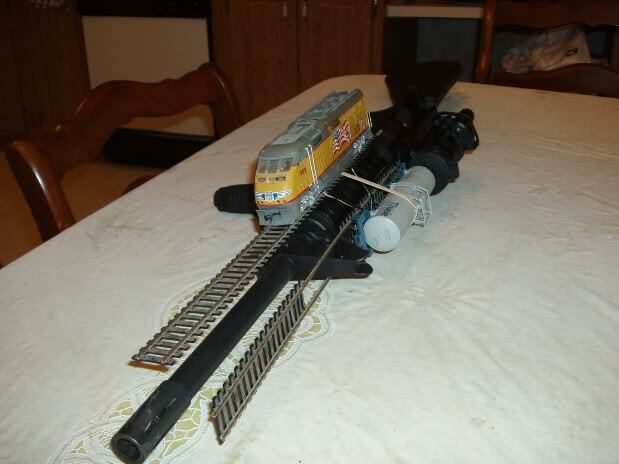 Only special AR-15’s need train rails, with trains. Great for home defense! I guess you can run O scale on an AR-10. This makes me happy on a level that cannot be conveyed in words. I love the tactical engine and liquid container car. You never know when those might come in handy. On another note, how many CR123 batteries does it need? Now can he shoot it without the engine and tanker flying off the rails? Also, this needs some crazy train. Obviously those are supposed to be mounted on a shotgun, because they are measured in “gauge”. Hahaha. Thats my pic. Forgot about that one. Took that a LONG time ago. Right on Alex. If you have any other awesome pics email them over to me and i’ll post them too!